Is your faded photo beyond help? Maybe not! 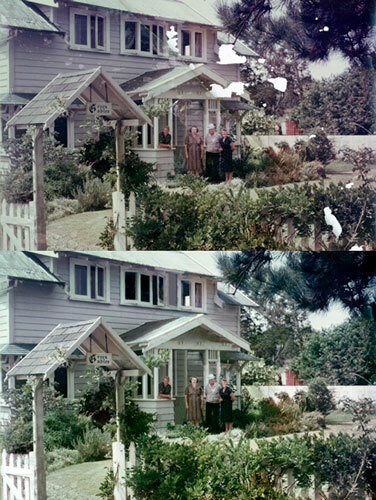 Jone contacted me about repairing a couple of old photos that had faded away to virtually nothing. 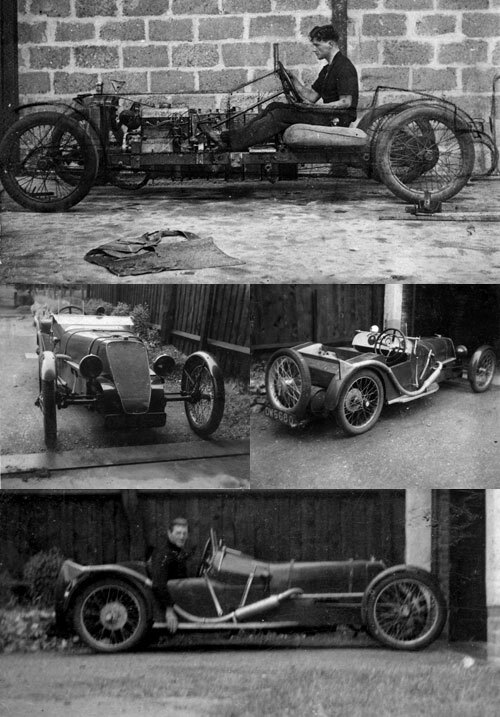 He’d been to a shop to see about fixing them- it was beyond their skills so they sent him to me. With age the photo had lost virtually all its detail and colour. However I was able to bring a resaonable amount of detail to turn it into a black and white photo. Even though it’s still not perfect, Jone was more than happy with the end result. Pam contacted me about having this damaged photo brought back to original condition. 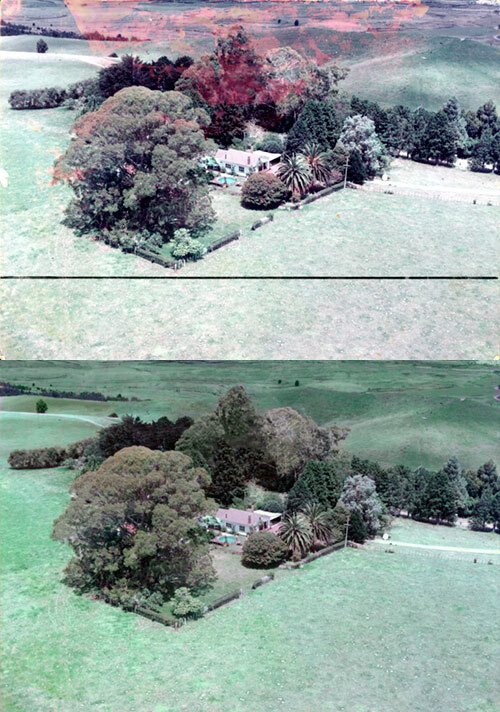 It’s a photo of her old family homestead situated in Whananaki Northland. The glass pane covering it had partially stuck to it, with the rest of it having broken off and tearing off portions of the photo. The photo was scanned complete with broken glass attached, all the marks removed and missing pieces filled in. The photo was enlarged and printed off. Pam was extremely happy with the result. Deborah from Auckland sent me this photo in need of restoration. The main part of the image had suffered from light damage, giving a brown stain to the photo. The photo was brought back to original B&W tone again. When Deborah got the print back she replied: “I just wanted to let you know that I have received the prints and am so pleased with them! You’ve done a fantastic job and I know Mum and Dad will be thrilled too! 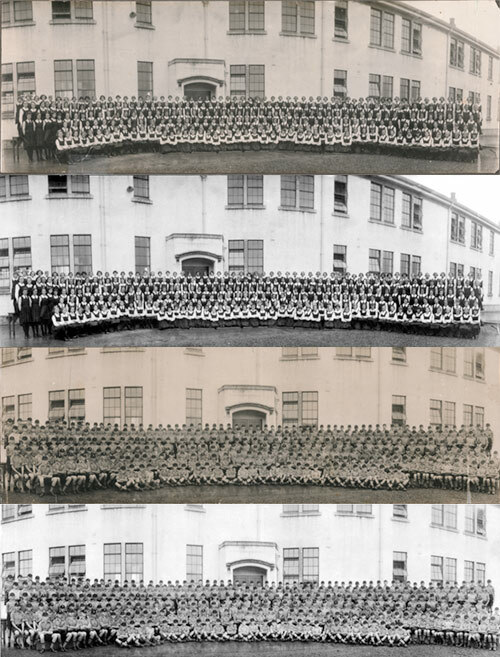 Shirley contacted me about have this old panorama photo fixed. 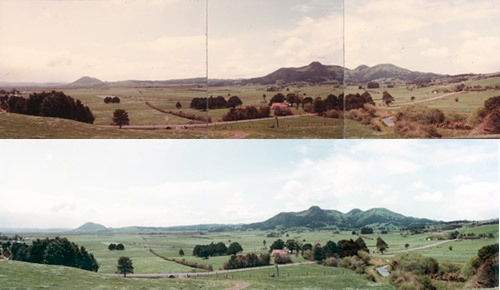 It was three photos hand joined together looking over her farm near Hikurangi, Northland. The photo was suffering from some colour shift as well. Shirley wanted the joins removed and the print doubled in length and size. 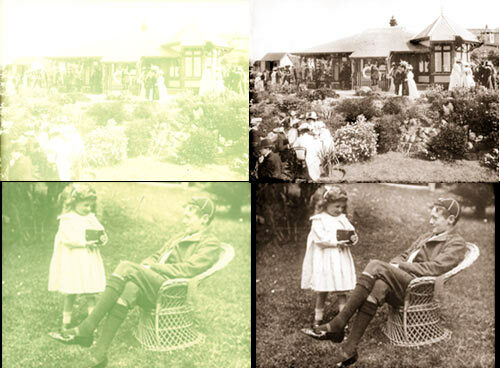 The photo was scanned in, all the joins meticulously removed and the colours bought back to normal. Dorothy dropped off this aerial farm photo in severe need of photo repair. The top part of the photo had a liquid spilled over it giving this red stained look. I was able to remove all the marks and enhance the colour. The original photo was 5 x 7 inch in size, but was enlarged to A3 size without losing any detail. 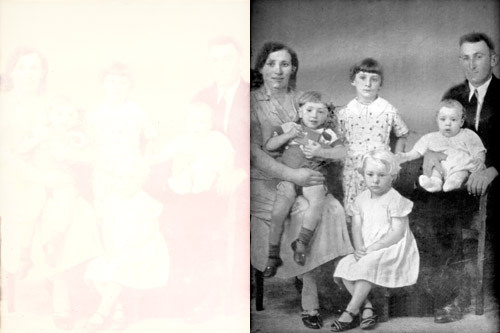 Sharyn contacted me about having 5 faded photos restored. They were recent prints done in the last 10 years of family ancestors. 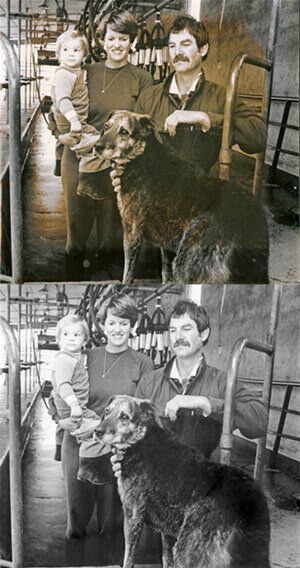 Printed using the Fuji Pictrix printer, many of these types photos have severely faded within a short period of time. Sharyn thought they were beyond help, but I was able to bring back nearly all the missing details, adding a sepia colour tone to give back that old aged look. 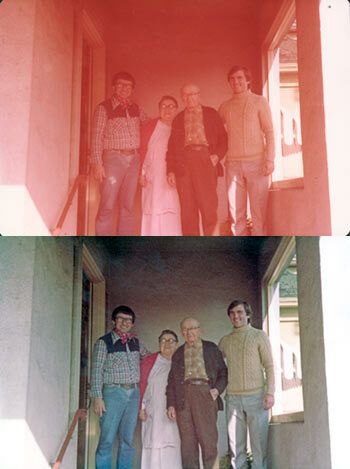 Ivan called in with this photo taken in the 70s in need of photo restoration. Typical of many photos taken in the 70s and 80s, the image has gotten a progressively worse red colour cast to it. Fortunately, there was enough remaining colour left to bring most of the colour back without spending a lot of labour on it. Measuring approx 9 x 12cm the image was enlarged to 8 x 12 inch without losing any detail.